I have to share a story I encountered months back. I was traveling on a major airline and in my row across the aisle were two parents caring for their young child in the middle seat. (I did not see the child.) I watched as they lowered her tray and proceeded to pour the peanuts into the cup recess on the tray. I was mortified! It was one of those moments when you try to decide – do I say something or just let it go? I decided to say something! Then as they deplaned, I was so taken aback by the physical disability of the child that I wasn’t about to disturb them. Did I chicken out? Probably but I thought they had far more things to deal with than where they put their peanuts. But I would have liked to enlighten them on the perils their actions put someone with peanut allergies in. Most people who are not around those suffering from severe allergies have no appreciation for the dangers that loom in something as simple as a peanut. While it helps to travel with disinfectant wipes, being considerate of shared public spaces wouldn’t hurt either. 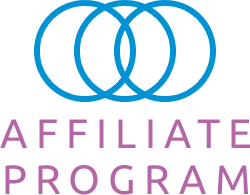 Tami Pyles, owner of Thrive On Consulting and a guest blogger for us, wipes down the seats, trays and all areas on a plane before her child can be seated, and advises her clients to do the same. 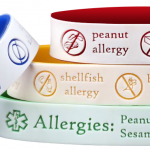 Exposure to even a trace amount of an allergen could trigger an anaphylactic reaction. And who wants to risk that at 30,000 feet? Many opt to drive instead of flying for that reason.